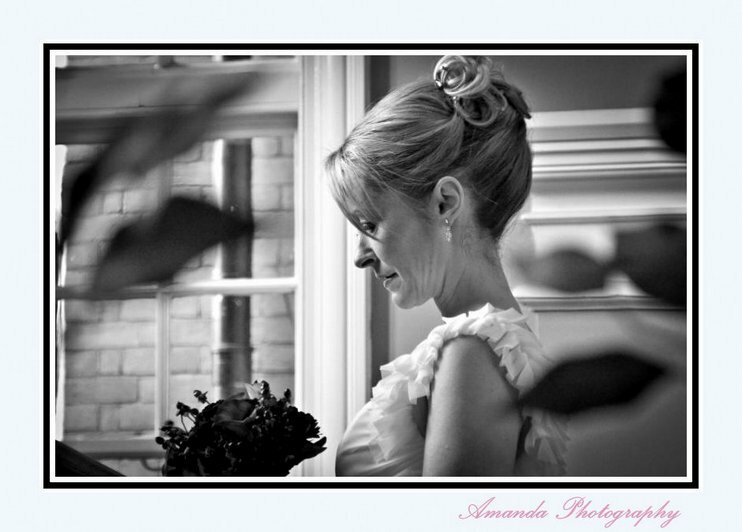 I am a Wedding Photographer based in Surrey. If you searched for a Wedding Photographer in Surrey I hope you feel that you have found the Wedding Photographer you were looking for. My professional 'Surrey Wedding Photography' service will capture your Wedding Day with creativity and enthusiasm. You can have both classic and informal Wedding photography, saving all of the fantastic memories of your beautiful Wedding and the special moments in images that you will love and treasure for years to come. For your Wedding you will have spent a small fortune on the cake, the music,food, the champagne, the invitations, the dress, the flowers, and the wedding venue, the only thing you really have left are the photographs. Shouldn't they be the very best? Although this page is titled Surrey Wedding Photography, please don't be put off by distance. I am happy to travel. I have previously been the Wedding Photographer for clients in Surrey, Hampshire, Essex, Kent, Berkshire, Middlesex, Bucks and as far away as Birmingham. As a Photographer, when planning your Wedding day I work with several sessions in mind. Any or all of these can be discussed for inclusion in your own personal Wedding Photography Plan. The Bridal Preparations ~ Candid and, where required, posed photos to show the groom how the Brides day began. The Wedding Ceremony ~ including Group Photos and the Bride and Groom Portraits (which are relaxed, fun and really easy). We take a short break from the day and get some great photos and best of all it won't feel like posing. The Wedding Speeches ~ Putting the Best Man and other speakers into the frame along with candid photos of your guests too. The Couples First Dance ~ Your first dance as a married couple. I love being a Wedding Photographer and am always happy to travel to your Wedding often working in Surrey, Hampshire, Essex, Kent, Berkshire and further afield. Hilton Hotel - Cobham. ~ The Mansion House - Reading, Berkshire. Silvermere Golf Course - Cobham. ~ Epsom Racecourse - Surrey. Bearwood College - Wokingham. ~ The Woodlands Park Hotel - Cobham. The Marriott Hotel - Heathrow, Middlesex. ~ Aston Villa Football Club - Birmingham. The Ship Hotel - Chertsey, Surrey. ~ Sandwell House - Birmingham. Goodwood Racecourse - Chichester, West Sussex. ~ The Great Western Hotel - Tidsbury, Wiltshire. The White Horse Golf and Country Club - Wiltshire. ~ Hilton Birmingham Metropole - Birmingham. Salisbury Racecourse - Wiltshire. ~ Sandown Racecourse - Esher. The Bullring Centre - Birmingham. ~ Oatlands Park Hotel - Weybridge. Priestfield Stadium - Gillingham. ~ The Farleigh Golf Club - Croydon. Orsett Hall Hotel - Orsett, Essex. ~ Ufton Court Tithe Barn - Reading. Taplins Barn - Hook, Hampshire. ~ The Manor House Hotel - Guildford. St John Church - Croydon ,Surrrey ~ The White Swan - Holborn. Wellington Arms Hotel - Stratfield Turgis. ~ Farnham Castle - Farnham, Surrey. Frensham Pond Hotel - Farnham Surrey ~ St Nicholas Church - Shepperton. For more information about my wedding photography, please call me (01932 807447) or, if you prefer, mail me wedding@amandaphotography.co.uk and I will get back to you. I endeavour to reply within 24 hours however it is usually much quicker. There may be occasions when I am away from the office for extended times in which case I will contact you as soon as I can after my return.